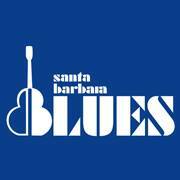 Southland Blues Magazine includes artist profiles, CD, book, video and live reviews, as well as club and festival calendars, radio listings, and columns with reporters covering the Los Angeles, San Francisco, Santa Barbara, and San Diego blues scenes. Loads of interesting Blues items, including a podcast and internet radio station. Run by John Rhys Eddins. The Blues Foundation website has a wealth of information for Blues Lovers. Based in Tennessee, it posts very recent blues items. The Year of the Blues, presented by Experience Music Project in association with The Blues Foundation, is a multi-faceted program celebrating and creating greater awareness of the blues and its evolving place in music and cultural history. Another terrific Blues Discussion Forum. Loads of late-breaking blues news, info on blues radio, and album reviews.